I'm doing this challenge now, too. 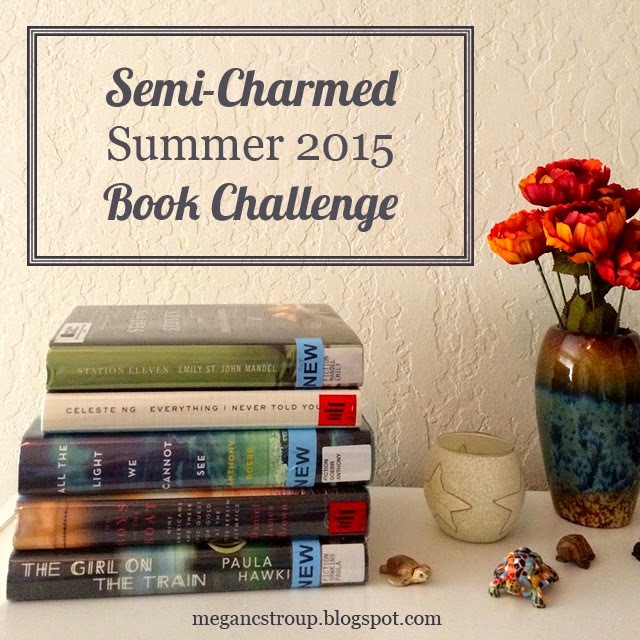 It's hosted by Megan at Semi-Charmed Kind of Life, and is a summer-only challenge, beginning in May and ending on August 31. I'm sure I can do this one now too. Click above to sign up and see more information. 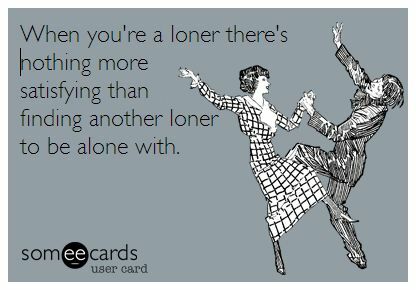 What Makes You a Loner? Imagine Friends with diagnosable neuroses, and you have Weird Loners, the quirky new comedy about four pals who, according to show creator Michael J. Weithorn (creator of King of Queens and a consulting producer on The Goldbergs), "are fundamentally broken in a way that makes it difficult or impossible for them to succeed in relationships." Does this make them loners? Some people think that the title is a misnomer, such as in this post on the show's IMDb board. My point of this blog is to confess that I have pretty much been a loner all my life. Or at least I think that term is appropriate. I don't dislike others, but I was that person who just didn't quite fit in. When others kids at high school were out somewhere on weekends or during school vacations, I was always alone at home, longing to be part of a crowd.. But it just wasn't that way. College wasn't any better. I had by this time become accustomed to spending time and doing things by myself. It was in college that it hit me that the term was descriptive of me. It was upon hearing this song on a local classic rock station around 1994 that that happened. It was the first time I heard the song (it came out before I was born) and I sought it out on CD. Today I live alone and basically still do everything solo. I tend to be comfortable that way. I mainly get out for shopping for food and stuff or to go to the movies. I got brave a few years ago and began hanging out at a local bar to perform karaoke. 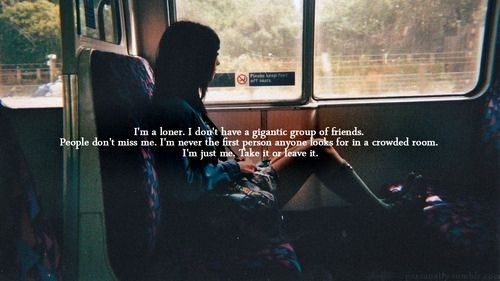 I sometimes wonder if others see me sitting alone and think "She's a loner." I still get jealous feeling of those who arrive in groups but am used to being by myself. Last summer I ran into someone I knew from school whom I barely recognized. We had a discussion of others from school and he eventually recalled an all-to-true thing about me: "You were pretty quiet, weren't you? You were a loner." I nodded slowly. I've also been shy and introverted. 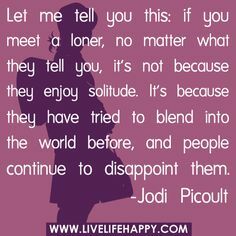 Do any of you see yourselves as a loner? Does it seem bad or good? And why do some people say women aren't loners? If they prefer to be alone, then what are they called? I can take being with others, but only a little at a time. It's just the way I am. I need time to recharge my energy. I've considered going to school to be a nurse, but feel that it's not right for me, but no other professions seem as interesting. How many people actually choose to be a medical lab tech? Hardly any. It seems loners and introverts have limited career choices, though I have heard many argue against that. My favorite activities include reading--a very solitary activity. And once in while I'll whip out my card deck to play solitaire. And watching DVDs from Netflix is another thing I like. And I have been seeking out books about loner characters. This gives me an idea, that I will be working on. You will see this later on this year if you are into reading. What are your loner confessions?